Would you believe me if I told you I got at least a handful of tweets and emails this weekend saying, “We need rain, Bri” or “Where’s my rain?” This left me very baffled, because this was the first completely dry weekend we’ve had since April!! I thought we were all rooting for a break in the pattern of nice week-day weather and wet-weather weekends?? So, now I don’t get it… What do you want from me?! I’m not a magician! I kid around! I can’t control the weather or take special orders. We all know this (right??)! 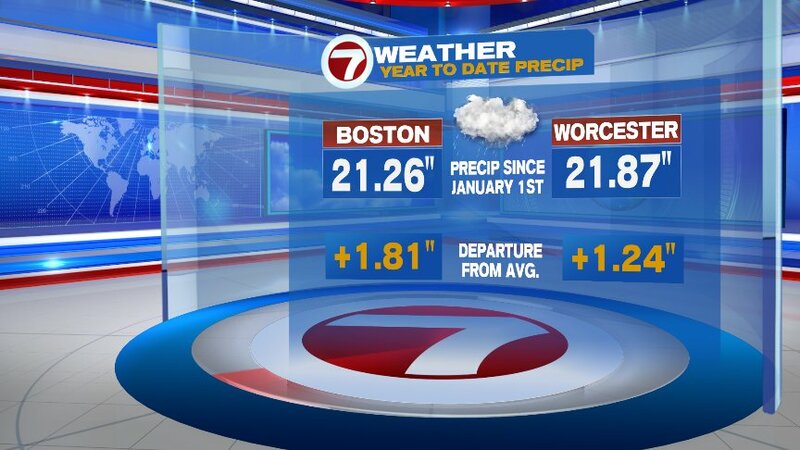 But let’s just get some perspective here on where we’re at with the up-to-date precip tally. Meteorological summer kicked off on June 1st – so just over a week ago – and sure, we’re sitting just a touch below average (30-year climatological averages) for meteorological summer so-far. But we still have a ways to go! Meteorological summer doesn’t end until August 31st, and I promise… there will be more rain this summer. 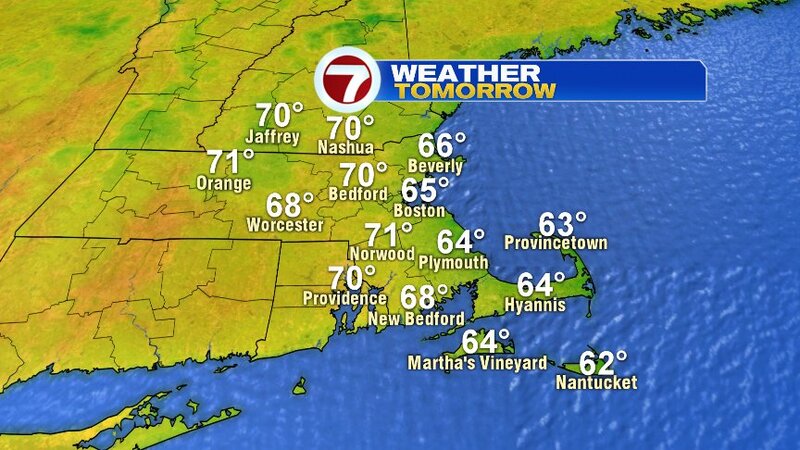 Those of us that missed out on the sunshine today (sorry about that, everyone south of the Mass Pike), don’t worry. We all get sunshine for tomorrow afternoon. 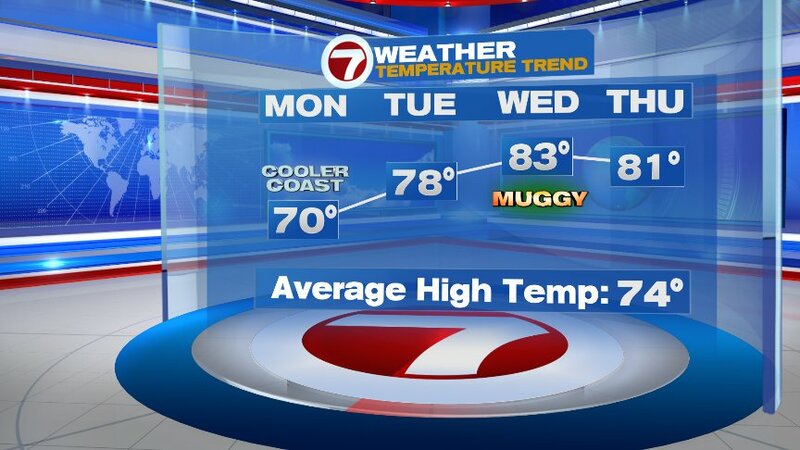 Tomorrow is the coolest day of the week – but then summah will resume on Tuesday. In fact, it just may be breezy enough on Tuesday to keep a sea breeze away from the coastline in the afternoon. Once again, mostly sunny skies and low humidity. 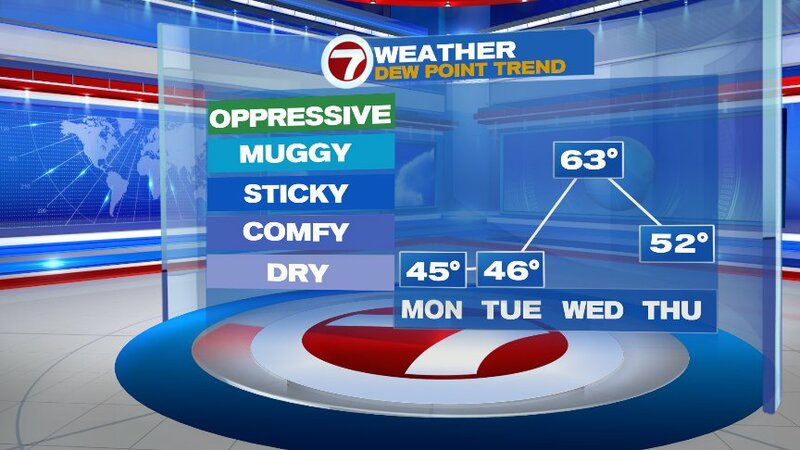 The humidity will be with us on Wednesday – but it looks like it’s “one and done” as dewpoints should fall into Thursday afternoon – back to a more comfortable feel. Wednesday is also when we have a shot at getting showers and storms. Currently I’m going with a 20-30% chance of showers/storms on Wednesday. It looks more “isolated” meaning not everyone will see these drops. So, no hope at washing the pollen out of the air this week (sorry, sneezers).